Next week, on Thursday april 12th, the Salesforce World Tour will take place in the RAI in Amsterdam. 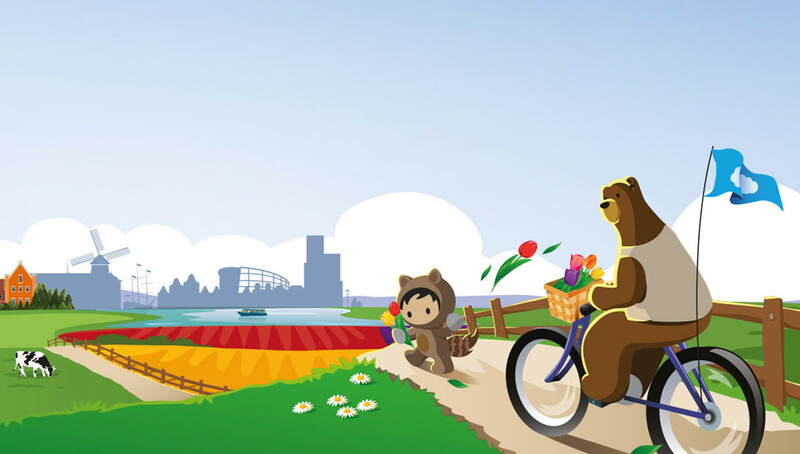 Salesforce will put on a day of innovation and inspiration with customer speakers such as KLM, War Child, Rituals and more. The popularity of the Dutch Salesforce event is clear, it has been sold out for weeks. If you are one of the few thousand Trailblazers who will attend this World Tour you are in for a day packed with knowledge; the keynotes, the break-out sessions and the partner session will provide a wealth of information on how technology is shaping our world. So, you got inspired during the Salesforce World Tour... now what? The innovative solutions, practical examples and customer success stories are fantastic to see at the Salesforce World Tour. But what happens next? How do you go about making your own success? Gerbrand Spaans, experienced trailblazer, will talk about the road from inspiration to innovation. Don’t miss this session at 12:45 in the Partner Theater located in the Customer Success Expo. At the end of they day, when you are fully inspired, a little smarter than you were at the start, and have had an all-round fun day with colleagues and friends, you are welcome to join us for our World Tour Afterparty at Strand Zuid. We will have food and a drink waiting for you from 18:00 and will party until midnight. We look forward to seeing you next week!